We’re looking for newly qualified and experienced nurses to join our amazing teams across Sussex and Hamsphire. We want to provide the very best possible care to patients. We’re making changes to help us do this. We want to give nurses more time to care, space to think and opportunities to learn. We're recruiting for a variety of nursing roles across our inpatient and community teams. If you're a registered mental health or learning disability nurse then we'd love to hear from you. For an informal chat about the opportunities available please contact Recruitment Advisor Antony Davies at nursing@sussexpartnership.nhs.uk or on 01273 718699. Newly qualified? Find out how you'll be supported through our Preceptorship Academy. We're also looking for RGNs and RMNs to join our team at Lindridge Care Community, where we offer residential nursing care to people with complex conditions. For more information about vacancies at Lindrige please contact louise.offer@sussexpartnership.nhs.uk. 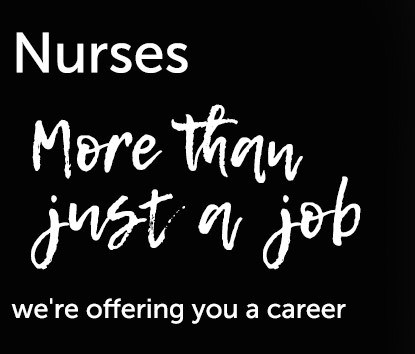 Sussex and Hampshire are beautiful places to live and work, and as your employer we'll support you every step of the way in your nursing career. But don't take our word for it, hear from some of our staff about what it's like to work here and why they love nursing. Are you looking to return to practice? Find out how we can help you. An extra £2,000 when you join the us as a Band 5 or 6 nurse, either as a ‘Golden Hello’ or support towards accommodation/removal expenses. A place on our preceptorship scheme and your own personal development package including coaching, mentoring and executive shadowing opportunities. We’ll help you move from student to staff nurse. The opportunity to join our apprentice scheme after being with us for six months as a Band 5 nurse. This will give you the skills and support you need to help move into a Band 6 role. Fast track promotion opportunities through our Band 6 development programme. Your own personal rotation scheme, where you will get to spend six months in the area of mental health and learning disability services that interest you the most. A role in an organisation which is strong on research and education. The chance to be part of a team which wants to listen, learn and develop to help us improve the care we provide to patients and families.